Probiotics are a form of good bacteria that have been proven to help improve our body’s natural bacteria. A probiotic is a live microorganism bacterium that when ingested can provide many health benefits for our bodies. 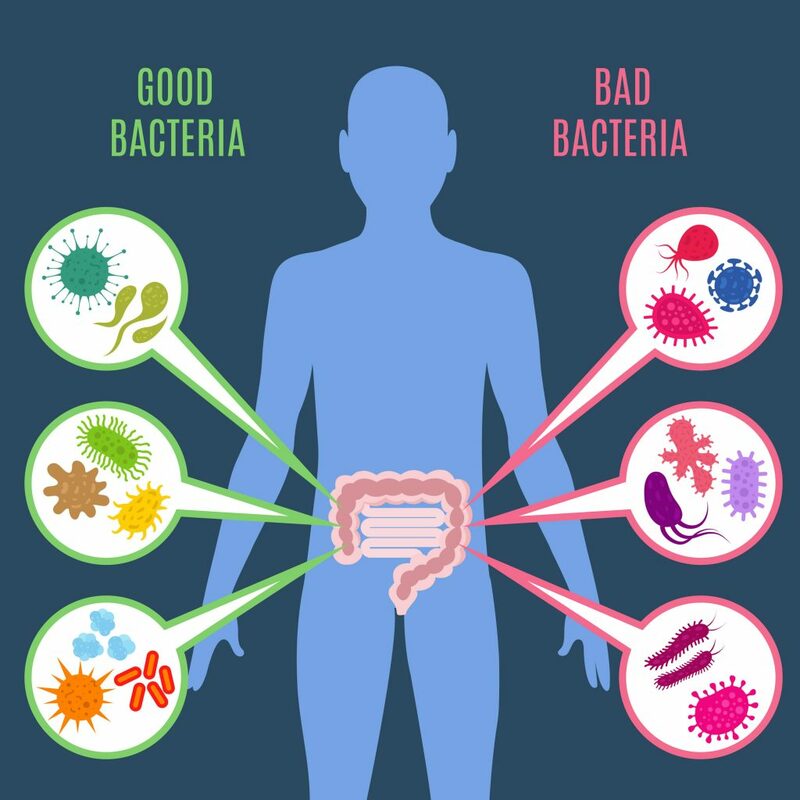 What many people do not know is that our bodies already have both good and bad bacteria in them. Probiotics are known particularly for aiding our digestive tracts. Probiotics have only recently been discovered and proven to provide and promote overall health and well-being. There are many reasons why everyone should consider taking a probiotic. Here we will discuss several different benefits that taking one can do for our body and its daily function. This can be daunting to those who are new to health and wellness or are just starting to research probiotics. It can be helpful to consult a Nutritional Counselor during this time. If you have noticed your body is tired more than usual or perhaps you don’t feel your bathroom habits are as normal as they should be, you likely need to consider a probiotic. Taking a probiotic can increase our immune system significantly. Most of our immune function comes from our gut alone. It is very important that we have a good healthy balance of microorganisms in our intestinal tract to have a balanced response to any form of illness or bad bacteria. While we may consume certain foods that claim to help in this area, it does not help if they are broken down and tossed out during digestion. If the improper amount of nutrients are digested into the bloodstream, this can actually cause malabsorption of those same nutrients. A daily probiotic can help in keeping this balanced while these minerals pass along our tracts. Probiotics help increase the digestibility of many nutrients like copper, iron, and even milk. Studies have been shown that those who consume a good probiotic can maintain a healthier weight than those who did not take it. The probiotics can speed up our metabolisms and give us fewer cravings for comfort food. They also maintain healthy microflora levels that aid in controlling cravings. When our body cannot fight these cravings, we turn to “comfort food,” and this brings on unintentional eating and excess nutrients we cannot properly digest. No matter how many times we can brush our teeth throughout a day, our mouths can house a surprising number of bad bacteria. If you struggle with bad breath despite using mouthwash many times throughout the day, this could be why. A probiotic that aids in supporting our oral microbiomes is can help to eliminate bad breath. They help balance the right amounts of bacteria to maintain healthy breath. Several studies have been conducted regarding inflammation and probiotics. The test subjects who were given the probiotic showed significantly reduced signs of inflammation than those who were not taking one. These studies confirmed that keeping a healthy amount of good bacteria in your body helps keep inflammation levels down. This is particularly helpful for those who struggle with joint paint like arthritis and other forms of inflammation. Since vegetarians do not consume any animal products, this can put them in a serious deficiency of Vitamin B12. Vitamin B12 is most naturally found in animal products. Plant foods normally do not naturally contain Vitamin B12, which is essential for our health. Vitamin B12 aids in red blood cell production. Without it, it can cause severe anemia or can harm our nervous system. Did you know your skin is the largest organ on the human body? Is your skin healthy? Our skin is the first line of defense we have when we come into contact with most viruses and bacteria. Many skin conditions are due to imbalances in our intestines as well as hormone imbalances in other areas of our body. A probiotic can help aid our body to absorb the proper nutrients we need to maintain a healthy outer shell. How do I Pick the Correct Probiotic? Like many, you may not know where to begin when it comes to looking for the correct probiotic to take. Seeking the help of a Nutritional Counselor can help determine what your needs are first. Our body’s all require different amounts of nutrients. What might be working for your partner, may not work for you. It is important to consult a professional about your concerns and what areas you feel might benefit from a supplement. Once the proper identifications have been made, you will notice an improvement in your daily activities as well as your overall quality of life.